This is an 8 hours virtual Workshop for Team Kanban Practitioner covering Kanban practice in detail. Kanban Professionals help teams in improving productivity, create visibility and bring transparency in the communication. Kanban Does not believe in overhauling the entire process and starting from scratch. Rather, you start by taking pragmatic steps to improve what you have without disturbing the process, teams or organization structure. This significantly reduces the fear of new, people find it easy to adopt. The WIP limits, the visible kanban boards Cycle time and Kanban style stand-up meeting help you expose the bottlenecks and dependencies, brings transparency and improves collaboration. Pioneered by David Anderson, “Kanban Method” is much more than just a board or a kanban system. It is a management method that helps improve service delivery, catalyze improvements and evolve a business to be “fit for purpose”. What will you Learn in Team Kanban Workshop? 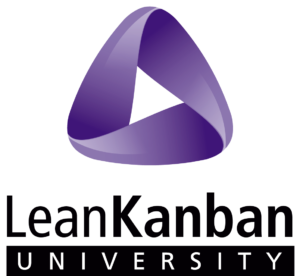 The team Kanban Workshop is approved by Lean Kanban University. This course starts with Kanban principles and practices, shares the idea of Kanban system via an interactive simulation game, and discusses board design, ticket design, and classes of service among other basic Kanban concepts – in short, a great way to get started with Kanban on a team level. Why Learn from Lean Kanban University (LKU)? David J Anderson – the founder of Lean Kanban Inc, the parent body of LKU – pioneered the use of “Kanban Method” for knowledge work and service work since 2005. Over the past several years, David – with assistance from an active Kanban community – has enhanced Kanban method by incorporating concepts such as pull systems, queuing theory, and flow. Today, the LKU Kanban certifications are the most renowned Kanban certifications in the technology world.